While it's tempting to hibernate as the snow falls outside, we are staying busy and continue to add products made and inspired by Athens, Ohio. In January, we had the pleasure of welcoming Space Cadet Soaps to the store. If you're looking for locally made and locally sourced natural soaps, you must try Space Cadet Soaps. Check out their products here. February has been a busy month, adding Nature's Magic cleaning supplies to the store early in the month and Epicenter Apparel this week. 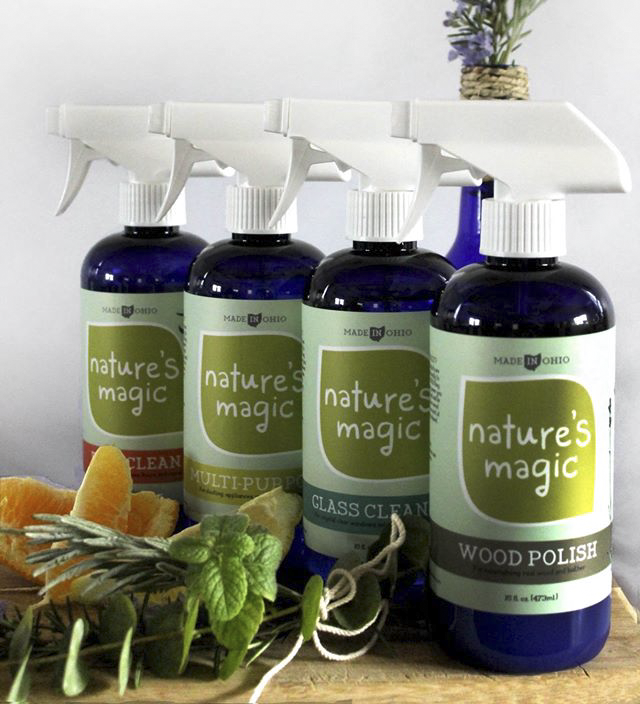 I can personally vouch for Nature's Magic after replacing my usual cleaning supplies with their natural staples. Their sprays smell great and provide the confidence that harsh chemicals aren't lurking in your house. Finally, Epicenter Apparel tees were just added to the site yesterday. Epicenter Apparel is a Bobcat alumni team creating unique Athens, Ohio inspired designs, including bar tees and the essential tie tee. 2016 is already shaping up to be an exciting year welcoming new partners to the Athens, Ohio online marketplace. Thanks for your continued support and stay tuned for even more exciting products!